Even as immigration-enforcement officers across the country are breathing what one deportation officer described as "a collective sigh of relief" following Donald Trump's election, the president-elect's announcement on 60 Minutes that he plans to start with the estimated two million criminal aliens has been met with a combination of scorn and skepticism, at least in the mainstream news media and illegal-alien advocacy circles. But Trump's enforcement approach is not only reasonable, it is very feasible, and will address the most disastrous failings of the Obama administration's faux-enforcement regime, which brought interior deportations to a 10-year low and caused the release of tens of thousands of criminal aliens back to our communities to reoffend, instead of back to their homelands. Said Trump: "What we are going to do is get the people that are criminal and have criminal records, gang members, drug dealers, where a lot of these people, probably two million, it could be even three million, we are getting them out of our country or we are going to incarcerate." Now, this statement is a significant softening in tone and scale from some of Trump's campaign statements, in which he suggested that the entire population of nearly 12 million illegal aliens could be subject to deportation. It's important to affirm that principle — that anyone here illegally is potentially at risk of being sent home — but it makes good sense to start with those who are also breaking other laws. While some illegal-alien advocates have accused Trump of exaggerating the size of the criminal alien population, he's quite right on this. According to Immigration and Customs Enforcement (ICE), the agency that is responsible for carrying out deportations in the interior, there are approximately 1.9 million deportable criminal aliens in the country. It is able to estimate this because, since 2012, ICE has been receiving the fingerprints of everyone who is arrested or booked into a jail, and because ICE has officers screening inmates in most major correctional systems (except some of the sanctuary cities, where they are denied access to inmates). ICE's estimate does not include all of the immigration fugitives who skipped out on their hearings; currently there are more than 940,000 aliens who have been ordered removed but are still here. Nor does it include all those who were kicked out of the country but returned; that figure is unknown. Nor does it include aliens who committed a crime but were never convicted (often because they jumped bail or were released by a sanctuary), or the many illegal-alien gang members who are on the streets in greater numbers, and who were formerly an arrest priority for ICE but are now largely left for local law enforcement to handle. Come January 21, we can expect that all of these cases will again, appropriately, become a priority for enforcement. There is nowhere to go but up in terms of the effectiveness and efficiency of the immigration-enforcement agencies. President Obama made a big show of focusing enforcement on criminal aliens; the targets were "felons, not families," he said, "the worst of the worst." He claimed to have achieved "record" deportations. Those "record" deportations were achieved by cooking the books, and the statistics were "a little deceiving," in the president's words. In a departure from past practice, ICE under Obama began counting in its annual totals the deportations of aliens arrested by the Border Patrol. That masked a big drop in the number of deportations from the interior, which is where most of the criminal aliens are. In 2016, interior deportations are about one-fourth of what they were at the peak under Obama, and criminal deportations have declined by more than 50 percent. By every measure, ICE is now doing less enforcement with more resources than ever before. This means that it will be neither hard nor expensive to achieve a significant boost in enforcement and to make a big dent in the target of 2 to 3 million priority deportations, including those of the criminals. The first step will be to let the career officers and agents of the immigration-enforcement agencies do their job and apply the law. One deportation officer has told me that currently one of the easiest ways to attract negative attention from a supervisor is to be caught putting someone into deportation proceedings who is not a violent felon but "just" a drunk driver or wife-beater. That will change as soon as President Trump makes good on his promise to cancel improper executive actions, including the directives for ICE officers to refrain from initiating deportation until someone is convicted of a serious felony or several misdemeanors. This means scrapping the disastrous Priority Enforcement Program (PEP), which has drawn the ire of the National Sheriffs Association, among others, and forced local ICE offices to release of thousands of deportable criminals, including Eswin Mejia, an illegal alien with prior arrests who killed 21-year old Sarah Root in Omaha, Neb., while drag-racing drunk in January of this year. Like many of the 86,000 convicted criminals released by ICE since 2013, Mejia is now a fugitive but considered a "non-criminal," because he has yet to be tried and convicted for Root's death. Enforcement opponents maintain that even if the Obama prioritization scheme is rescinded, there is no way that two to three million criminal aliens can possibly be found and processed in just a few years, because the immigration courts are hopelessly backlogged. True, the courts are backlogged, and that's another story, but many of the criminal aliens who will be targeted under the Trump administration are not entitled to take advantage of the dysfunctional immigration court. They should be handled through the more accelerated forms of due process that were discontinued by the Obama administration even though they are provided by law and neither require long periods of detention nor lead to endless hearings and appeals. Known as expedited removal, stipulated removal, and judicial orders of removal, these forms of due process operate in a way similar to the way in which plea bargaining operates in the criminal-justice system. They benefit the aliens, the government, and the taxpayers by providing a swift resolution to the case. In addition, we can expect that the Trump administration will move to rebuild with local law-enforcement agencies the productive partnerships that emerged toward the end of the Bush administration but that Obama stifled. 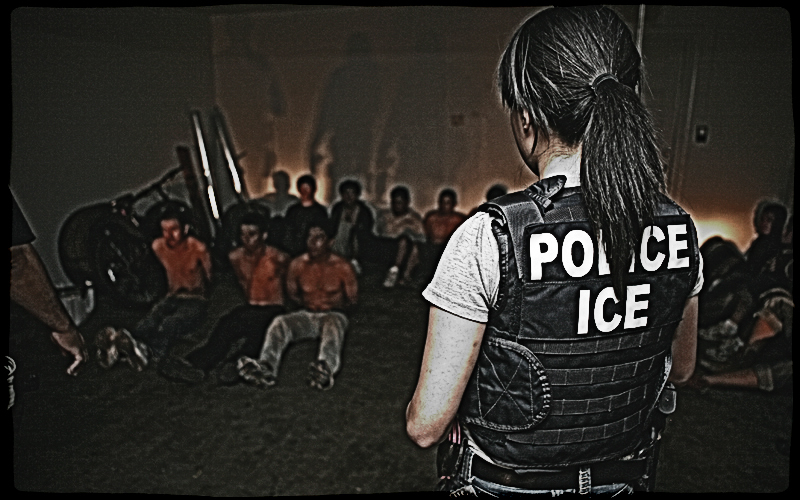 These would include the 287(g) program, which trained and delegated immigration-enforcement authority to state and local officers and was a tremendous force multiplier for ICE — at very little cost to the feds, because the local jurisdictions pay the salaries of local officers who are able to start the deportation process for the criminal aliens they encounter on the job. At its peak, the 287(g) program, used in only a few dozen places, generated between 10 and 20 percent of ICE's criminal deportations. It will also help ICE when President-Elect Trump gets tough on the sanctuaries that obstruct their work. The stage has already been set for this. Under pressure from Rep. John Culberson (R-Texas), who controls the Justice Department's budget, DOJ has so far identified 10 large states and cities that have sanctuary policies that are inconsistent with federal law and that as a result should be ineligible for certain DOJ funding. The new administration could apply this standard to many more sanctuaries and to many more pots of federal funding, thereby making it very expensive to remain a sanctuary. Since some of the die-hard sanctuaries will remain defiant, I hope that the new administration will also consider litigation or even prosecuting them for harboring criminal aliens. Prioritizing the removal of criminals and the most egregious scofflaws is a no-brainer. But public safety is not the only reason immigration laws should be enforced. We need immigration laws enforced in order to protect job opportunities for Americans and legal immigrants, to avoid the fiscal costs of providing welfare to illegal aliens and their children, and to preserve the integrity of our legal-immigration system. For these reasons, the Trump administration needs to go beyond a narrow focus on criminal aliens to reinstate work-site and payroll records–based enforcement as well as work to deter and remove visa over-stayers. Not to mention, build that wall!